Fashion has always been a reflection of and a reaction towards the world at large. It is an expression that makes a powerful statement. So when we talk about what’s next in fashion for 2019, we are also, in a way, observing the macrocosm in which we live that is constantly in flux. In these sobering times of extremism, threat and uncertainty, fashion seeks to cut through the chaos, encourage diverse voices, and thus find solutions for our future — whether by going back to our roots or advocating creative expression. In an age of interconnectedness, many countries and businesses are turning towards de-globalisation. They are redirecting their focus on domestic growth, looking inward to reestablish local communities and create safe spaces for people to belong. For fashion, that means going back to basics, but with a sophisticated, contemporary vibe, as seen at the Chloé, Céline, A Niemeyer runways. Look for clean, sleek silhouettes and muted prints. With the right cut and fabric, basics can look classy too. In a time where social media allows us to be in touch with anyone virtually, there is a growing desire to be connected on a deeper level with one another. Consumers yearn for things that move them, emotionally and physically. As we enter a new emotional era, 2019 is all about designing for feelings and fashion as an expression of one’s emotional and spiritual state, with futuristic elements and psychedelic touches thrown into the mix. Neon is the best way to take on this trend. 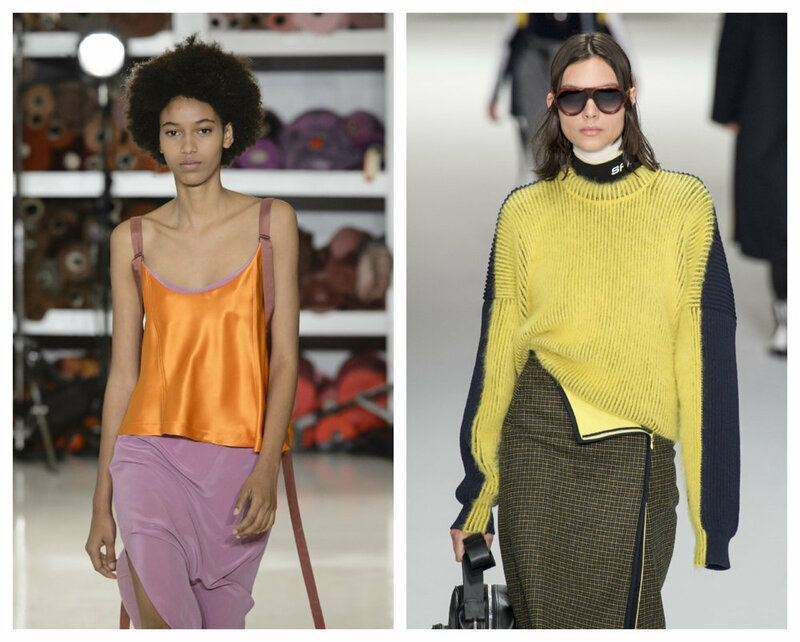 Pair a neon sweater with a mesh skirt for a sleek take, or go all-out futuristic with over-sized sunglasses and graphic prints. With the proliferation of more voices in a borderless world, the need to be different, to be heard, and to make an impact grows stronger. Self-expression is increasingly crucial, and can be wielded as a tool for change and innovation. Subcultures and movements that advocate creativity individualism are celebrated. In fashion this means greater pushes by designers to break boundaries in their art — be it with wild prints and patterns, bold silhouettes, or show-stopping embellishments. This is the trend that allows you to let loose with your wildest statement pieces. Be it a metallic jumpsuit, a quilted leather jacket, or brights — wear them with aplomb and you’d have nailed this trend. Which trend are you most excited for 2019? Share your thoughts in the comments section below!